Cross-country racing is about speed, precision and control. These are the elements that define the CREW EX. The new CREW EX is a 27.5 cross-country hardtail built for the fastest, most demanding riders in the world. Constructed from T-700 carbon, it features a stiff, oversized front triangle and bottom bracket to deliver precise handling under power. Note: Images taken from size 17"
PLEASE NOTE: The label on the box defines this bike by the effective top tube length, measurement "A" shown in the last image. We have in our title, the more traditional and common measurement of a mountain bike's size - The length of the seat tube in inches (dimension B). That is what we chose to define the bike as. 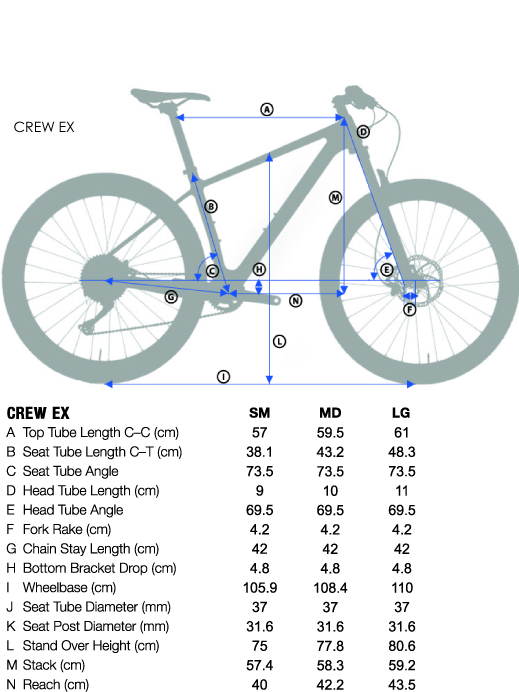 It's important to understand that there really aren't any standard ways a bike is defined in regards to size. It may be difficult for a novice who doesn't understand the complexity of non-standards in given measurements the bike world. A size "59" frame for example could mean many things. 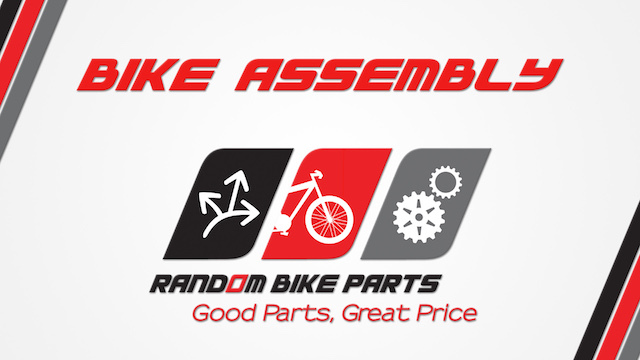 We strongly advise anyone steer clear of relying upon subjective measurements, such as "Extra Small," or using the number size of the bike and assuming it can only mean one thing. The best way to know a size is by comparison of a few objective measurements shown below; to what you had previously, alterations what you want now, etc. Proper and accurate size fit requires actual measurements. Only the size we photographed and assembled will have its weight provided. No sizing information will be provided beyond what’s written above. We'd prefer to only open one size of each model. I'm sure as a customer, you'd not wish to have your bike box opened, unwrapped, and disturbed. So, anything that would differ from size to size, like crank length, stem length, weight, and images, will not be provided. Assume that the manufacturer provided the lengths that made sense given the size of the bike. We cannot determine proper sizing given your body. It’s a personal choice as to which size you prefer, and there are loads of resources online for you to best choose a size that fits your body. We advise you to stay away from resources regarding standover height as a method of determining size.